Like most mid-tier cities in southwestern Ontario, London mortgage rates are competitive enough. The city’s home prices are below the national average so mortgage providers aren’t as aggressive as in Ontario’s biggest cities. What follows are the lowest rates from sources within the London region. For providers elsewhere in the province, check the best rates in Ontario. 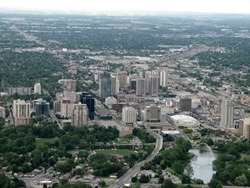 City in Brief: London is Southwestern Ontario‘s largest municipality, and the 11th largest in Canada. The city is a regional health and education hub, so much so that the University of Western Ontario and the city’s hospitals are among London’s top 10 employers.